Artisul is derived from "Art is soul." In it's simplest definition, it means the art we create represents our soul, our sense of being. We all have the ability to create something unique, because we are all one-of-a-kind. Artisul is our way to show our love toward the creative world, and to help anyone and everyone express their soul. 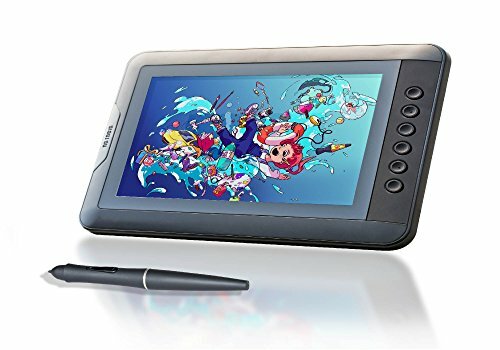 Artisul creates digital drawing tablets and accessories to help creative individuals express themselves through art for the modern era. Artisul is our way to show our love toward the creative world, and to help anyone and everyone express their soul. We are dedicated to designing and manufacturing the best possible tools for artists of all industries, such as film, animation, fashion and fine art. Whether you're a pro or just learning, we want to feed your creativity. Encouraged by the art created with our tablets, the Artisul Team strives to create the highest quality tablets at an affordable, artistic price. And remember, inspiration is all around us. The Artisul D10 is amazing for all creative individuals, children and adults alike. Suitable for anyone with a passion for art, design, calligraphy, and everything in-between! With 1280 x 800 resolution, the D10's detail and design will spark ideas wherever, whenever. With 2048 levels of pressure sensitivity, the U-Pen offers realistic and professional strokes and gestures for versatile and comfortable workflow. 6 FastAccess keys can be customized for your favorite keyboard shortcuts. Powered via USB from your computer, the D10 is thin, light, and can be taken anywhere your computer can go, from coffee shops to board meetings. No need to worry about external AC power! Compatible with Mac and Windows. Comes with 1-year warranty. Must be connected to a computer. If you have any questions about this product by Artisul, contact us by completing and submitting the form below. If you are looking for a specif part number, please include it with your message.